As a car city, Windsor bustles with activities. Thousands of people drive to work and leisure in the Ontarian city. Besides, Windsor auto insurance rates are notoriously high; most drivers are doing everything they can to find cheaper coverage. Just like other Ontarian cities, Windsor has a completely private auto insurance system. Various auto insurance companies have different rates and sometimes the rates for the same car and driver may vary by hundreds or thousands of dollars. In other words, you may be saving thousands of dollars if you find a cheaper rate. But how do you find a cheaper rate? With so many Windsor auto insurance companies out there, it will take a ridiculous amount of time to compare the policy options and choose the right coverage. Call Insurdinary for the auto insurance quotes suitable for Windsor residents. You need comprehensive auto insurance in Windsor but at the same time, you need affordable coverage. How do you balance between comprehensiveness and affordability in your auto insurance? It is recommended that you shop around before choosing Windsor auto insurance. When you call Insurdinary, we will connect you to reliable insurance advisors in Windsor who will guide you to choose the right auto insurance suitable for you. The insurance advisors will work with you to get exactly what fits your purpose and budget. The insurance advisors compare and compile several policy options and quotes from some of the most reputable Windsor auto insurance companies. This would help you to get the most suitable and best coverage and therefore save you your policy. To read more about Windsor auto insurance, click here. The most popular vehicle insured by married couples in Windsor: Dodge Caravan. The most popular vehicle insured by singles in Windsor: Hyundai Elantra. Percentage of Windsor drivers who request for comprehensive coverage on their vehicles: 83%. To learn more about Windsor auto insurance, click here. If you are involved in an accident, you may have to provide your name, address, driver’s license number, the name of your insurer, policy number vehicle permit number and registered owner of the vehicle, if you are asked to do so. 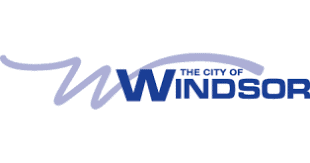 For accidents that occurred within the limits of the City of Windsor and provided both vehicles are from Essex or Windsor, the incident must be reported to the Collision Reporting Center. The accident should be reported to CRC if no drinking is suspected, no injury occurred, the vehicles are not large, they drivers exchanged their personal information, you do not fix your vehicles before you attend. You need to complete the Motor Vehicle Collision Statement and bring it to the Collision Reporting Center. You should also complete the Motor Vehicle Collision Witness Statement and the Motor Vehicle Collision Hit and Run Statement and bring each of them to the center. The Windsor Collision Reporting Center is located at 3215 Jefferson Blvd. Windsor, ON and operates Monday to Friday 9:00 a.m. – 5:00 p.m.
To learn more about the right Windsor auto insurance collision center, click here. The City of Windsor is connected to some class of action lawsuits proposed against six auto insurance companies from Ontario as well as the Financial Services Commission of Ontario, the body in charge of regulating insurance in Ontario. Jennifer Bezaire, a partner of Grey Monforton & Partners in Windsor, said that she and her law firm are part of the group of lawyers created to begin the lawsuit. The lawsuit, valued at $600 million, is intended to force the insurers to pay back HST wrongly charged to policyholders who were injured in car crashes, says Bezaire. The lawsuit requests for an injunction that prevents the insurance companies from proceeding with their practices against FSCO’s direction and License Appeal Tribunal case law. Bezaire cited an FSCO Bulletin which pointed out that HST is merely a tax and not part of the benefit limits. She added that the insurers have assumed that HST ought to be deducted from the clients’ benefits. Bezaire also pointed out that the insurers completely ignore FSCO. In some cases, they refuse to pay HST and in some other cases, they used it to reduce benefits leading to less care for injured policyholders. Moreover, FSCO ignored the unfair industry practices irrespective of the fact that it knew that people were being denied benefits. To learn more about Windsor auto insurance news click here.